One question that should at the top of your mind, though, is “How can I find the best veterinarian near me?” Having a vet nearby helps you keep your dog in the best health possible and ensures that he gets expert care when needed. Of course, it’s equally important that you find a good veterinarian. The right vet will make you feel confident that your canine pal is good hands. Is it time to visit the vet? How do I find the best veterinarian near me? What do I need to do before visiting the veterinarian near me? 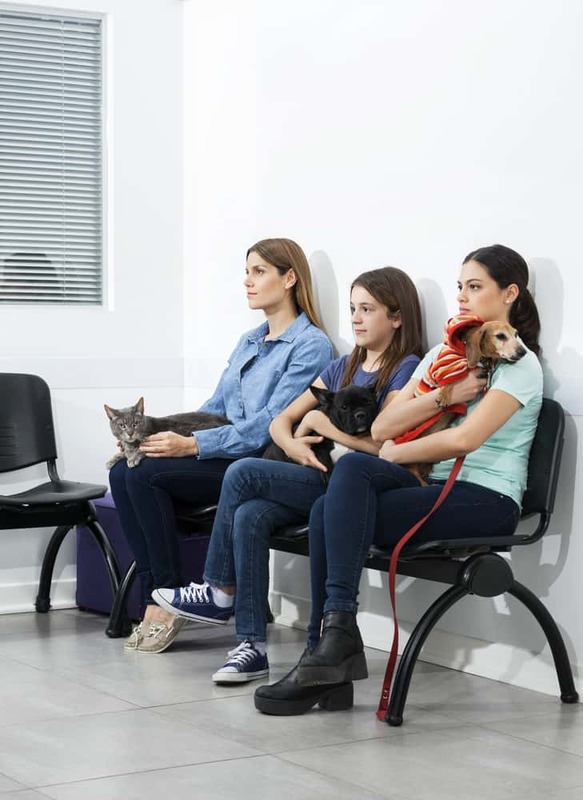 Delaying a visit to the vet is never a good idea, though it’s understandable to feel a little anxious about going to the animal clinic. If your dog is showing obvious signs of sickness or injury, going to the clinic should be your first priority. Your dog shows sudden changes in behavior, like if he loses his appetite or he’s excessively sluggish. You discover physical irregularities on your pet. Unusual bumps and lumps could be symptoms of more serious conditions. Your pet has vomited blood or is suffering from diarrhea. These are classic signs of poisoning that need immediate attention from a veterinary expert. Your dog is panting more than usual and has a dry nose and gums. These symptoms may indicate that your pet is dehydrated. If you’re a new puppy owner, you want your dog to have his first vet visit when he’s between 8 to 10 weeks old. This first visit should include a full-body exam and the administration of vaccines for rabies, distemper, and other illnesses. Bring your puppy to see the doctor every month until he’s 6 months old. Aside from urgent situations, your dog will also need routine veterinary check-ups throughout his life. An annual check-up should be enough for most canines aged 1 to 10 years old. These visits will include blood tests to check for heartworms as well as rabies booster shots and shots for parvo. As your pup becomes a senior (10 years or older), he’ll likely need to be checked twice a year so the veterinarian can check on his kidney and liver, among other things. Finding the best veterinarian in your area can be tricky, especially if it’s your first time owning a pet. One way to get ideas about the vet practices and clinics near you is to ask around. Your neighbors may know a reliable veterinarian in the neighborhood. Your friends and family members can also offer great insights on which animal clinics in the area can be trust. Do more than just enter ‘best veterinarian near me’ into that search bar. Look through review sites and read up on the feedback provided by the clients of the veterinarians and animal clinics in your area. This way, you get an idea of what to expect from vets and clinics you’re considering. Have a purebred dog? Try asking local breed clubs for recommendations on veterinary practices. Many of these clubs will have established working partnerships with vets who are familiar with breed-specific health problems. Rescue organizations may also have ties or affiliations with local veterinarians, who will have completed health clearances for dogs available for adoption. Lastly, don’t forget to check the websites of veterinary practices and animal clinics. Find out how many veterinarians and veterinary specialists are on staff. Many clinics have short descriptions of their doctors on their websites, so you can easily get an idea of each vet’s expertise and experience. No photos on the website? The clinic may be hiding a less-than-ideal environment that could be dangerous for your dog. Once you have a short list of veterinarians to consider, it’s time to pick up the phone to ask more questions. The right vet will have office hours that are compatible with your schedule. This makes visiting the vet more convenient for you. The good news is that most practices, especially those in big cities, are open until 7 or 8 PM. This means you can swing by the clinic with your dog after work. You also want to ask about the veterinarian’s after-hours policy. Most practices have partnerships with 24-hour animal care facilities. Such policies will ensure that your dog will still get the urgent care he needs even when the clinic is closed. It’s always a good sign if a veterinarian accommodates a lot of clients on any given day. This shows that the he or she is well-liked in the community. You might be able to get a better idea of a clinic’s popularity if you go for a visit. A full waiting room is sometimes a good sign of a hardworking, popular veterinarian. How do I contact you between appointments? Do you make home visits? It’s important that you can contact the vet between appointments, whether via phone call or email. This way, you can get answers to non-emergency questions about your pet. You also want to know if the veterinarian is available for home visits. Home visits are crucial for situations where your pet becomes difficult to transport to the clinic, like when he reaches old age. What are your philosophies on pet care? Understandably, you want to take your dog to a vet who shares the same philosophies with you when it comes to animal care. This would make it easier for you to make difficult medical decisions when needed. How important is the pet’s quality of life? Let’s say your pet gets terminal cancer or a chronic disease. What would be the vet’s treatment plan? What’s his opinion on euthanasia? Your vet’s opinions on all these matters should be in line with yours. Do you know any specialists? Sometimes, your dog will need a veterinarian who has expertise in a particular specialty, like ophthalmology or surgery. Ask the vet if he knows any veterinary specialists and if he will be able to refer you to them if the need arose. Do you offer any payment plans? What payment methods do you accept? The truth is that owning a pet and keeping it in good health can be expensive. Expenses and veterinarian bills can add up quickly. This is why you want to ask the vet if he offers any payment plans, so unexpected procedures don’t make a mess of your budget. Many vets are open to splitting up payments; all you have to do is ask. It would also be helpful to ask which payment methods (like credit cards) are accepted so you can prepare accordingly before each visit to the clinic. In your search for ‘vets near me’, you’ll encounter practices that are accredited by the American Animal Hospital Association (AAHA). Veterinary hospitals and clinics with this accreditation have met or exceeded over 900 standards in areas such as emergency services, pathology services, and surgery and anesthesia. Can I stop by for a visit? The right veterinarian won’t have problems with you visiting his clinic. A visit is the best way to assess the clinic’s facilities and overall environment. You’ll also be able to personally experience the overall attitude and personality of the vet and his staff. No matter how prepared you are, sometimes you’ll need some financial help in taking care of your pet. It’s always helpful to know your options when it comes to low-cost veterinary care. 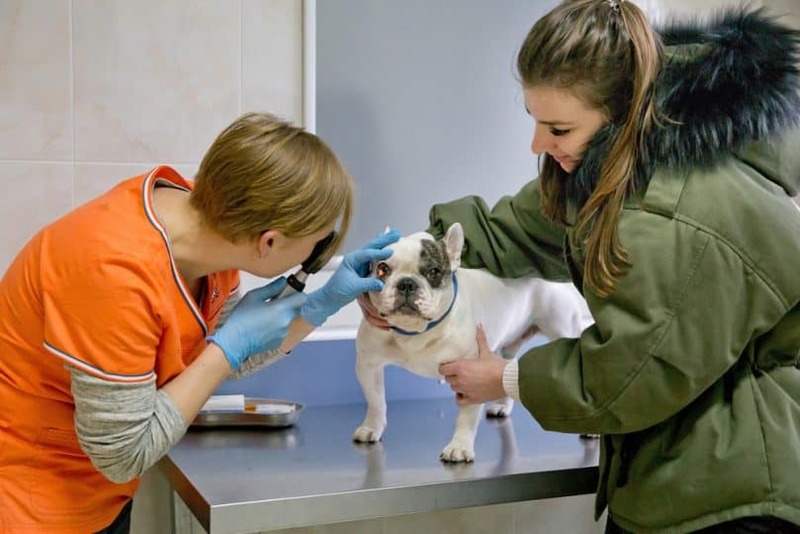 Your best bet to save money on routine procedures is to approach the local chapter of the Society for the Prevention of Cruelty to Animals (SPCA) or Humane Society. In many cases, you can also get help from animal shelters. 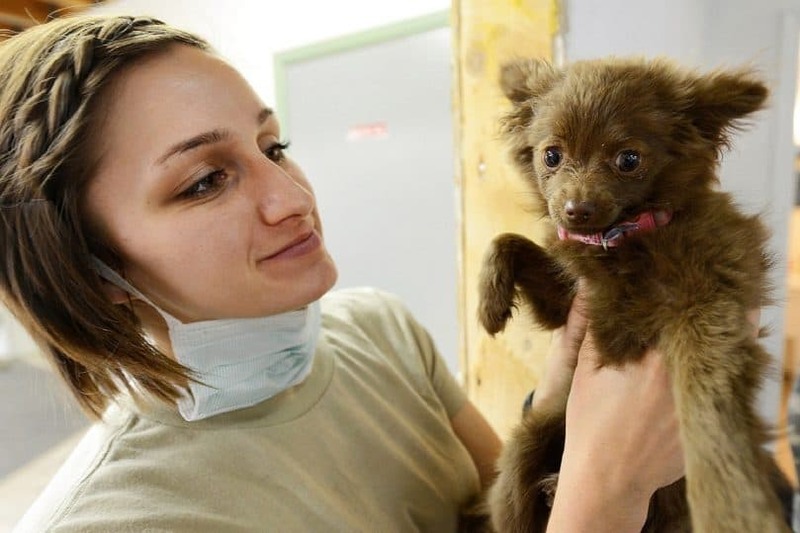 Many of these organizations offer free preventative care like vaccines or deworming for pets. Some will even neuter or spay your dog for free. Local veterinary schools may also have low-cost clinics for pet owners who have limited income. Search for veterinary schools in your area and ask if they offer discounted services for pets. In some cases, you’ll be able to find breed-specific programs that offer financial assistance for various medical procedures for your dog. If you own a Labrador Retriever, for instance, you can apply for aid from organizations like LABMED and Labrador Life Line, Inc. Sometimes, a veterinarian won’t have enough expertise to diagnose or treat a condition that your dog may have. In these cases, your pet will need veterinary specialists that can provide more specific treatments or do procedures that require additional training. Your general practicing vet will most likely refer you to a specialist if needed. The American Veterinary Medical Association currently recognizes 41 distinct specialties in areas such as behavior, nutrition, surgery, and dentistry. Internal medicine specialists have additional training and certification in cardiology, neurology, and oncology. These vets will be of great help for dog breeds that are prone to cancer (Rottweilers) and cardiomyopathy (Boxers). Veterinary ophthalmologists can lay out more effective treatment plans for terriers that are carriers for the genetic mutation that causes primary lens luxation. Meanwhile, veterinary dermatologists can help owners of American Bulldogs deal with their pets’ skin allergies. Does your canine pal need a new hip due to severe hip dysplasia? A veterinary surgeon can probably help you out. And if you’re looking for a vet who knows everything about dogs, you want a veterinary practitioner specializing in canine practice. Once you make a short list of potential new vets from the results of your search for ‘vets near me’, you need to prepare yourself and your dog for your first visit to the practice. Make sure you make the most of each vet visit by giving yourself enough time to prepare for the appointment. You probably have some documents and notes to bring along to give the veterinarian complete information about your pet. If you’re visiting a new practice, bring along notes on your pet’s eating habits and toilet habits. You also want to note down medication he’s taking as well as the dosage. Traveled with your dog recently? Write that down, too, so you don’t forget to tell the vet. Prepare and bring your pet’s past medical records. This is especially important if your dog has undergone treatment and procedures. This way, the vet can get a more accurate medical history of your pet. Keep your pet calm by bringing along his favorite toys and a blanket. Make the visit to the veterinarian as stress-free as possible. Distract your dog with his favorite chew bone or rope toy. Treats also work great for getting your pet to behave. Put your dog in a carrier or use a leash. A new environment may make your dog anxious or overly excitable. A carrier or a leash makes it easier for you to keep your pet under control and helps prevent accidents. Get your dog used to being handled. The vet will touch your dog a lot, especially during a routine physical exam. You can train your pet to keep calm and still during handling by regularly touching his paws, mouth, ears, and tail at home. Make sure to reward positive behavior so it sticks. Finding the right veterinarian can be a little overwhelming, but a better quality of life and professional healthcare for your pet are definitely worth the effort. According to market research, there are over 73,000 veterinarians in the US as of 2018 (and that’s just for the private practice sector). You’ll definitely find a local veterinarian that meets your and your pet’s needs. We’ve searched for the most reviewed, most popular veterinarians in each state and put them all in this handy list. So you won’t have to do the search for the ‘best veterinarian near me’ again.